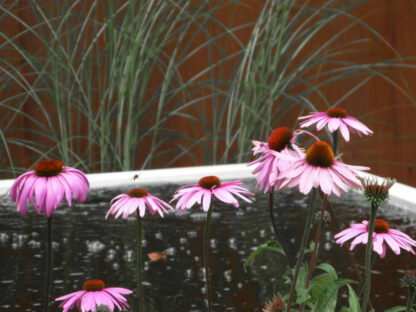 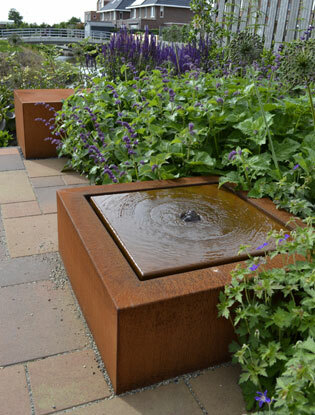 Adding water into your garden through Water Features will help transform your surroundings into an oasis. 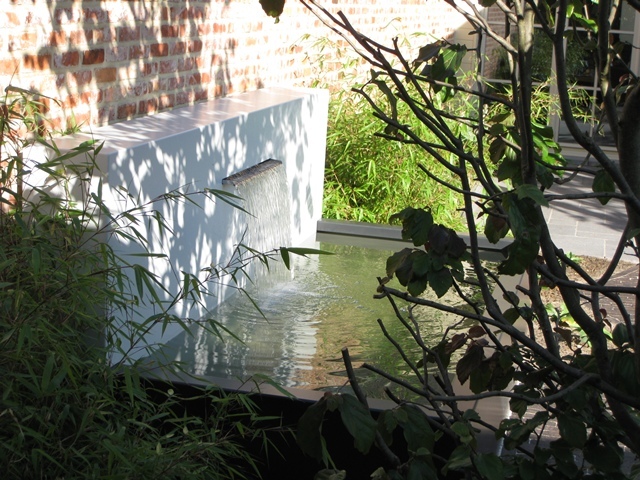 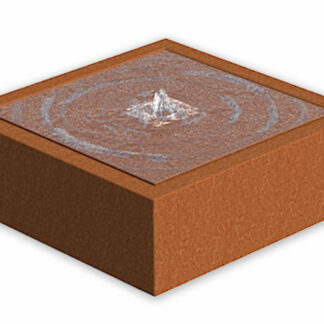 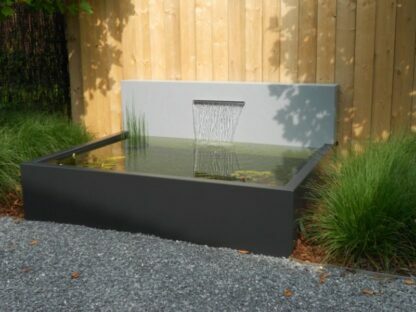 Available in a range of designs, colours and sizes, there is a water feature that would enhance every home and garden. From a simple Corten Steel water bowl to a water table with fountains and LED lighting there is a range of designs for everybody. Many of the water elements can be ordered with an additional fountain, waterfall and LED lighting. 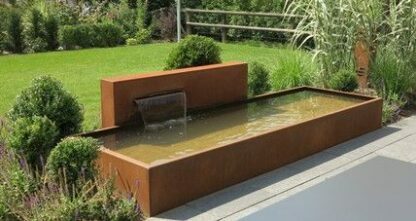 This will give the water feature an extra dimension, creating movement and sound your garden will become a tranquil utopia. 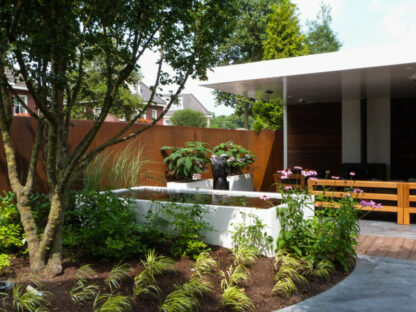 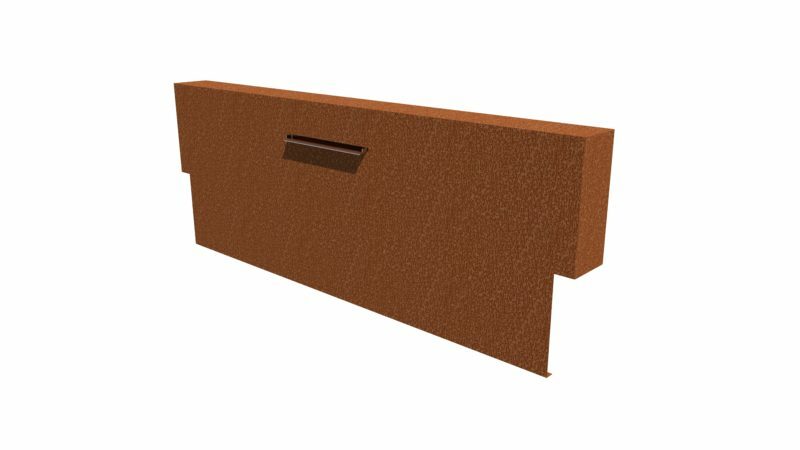 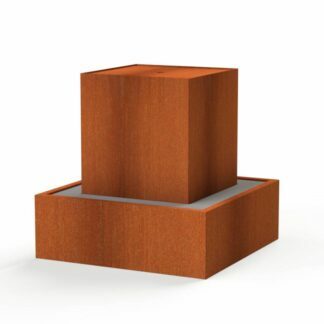 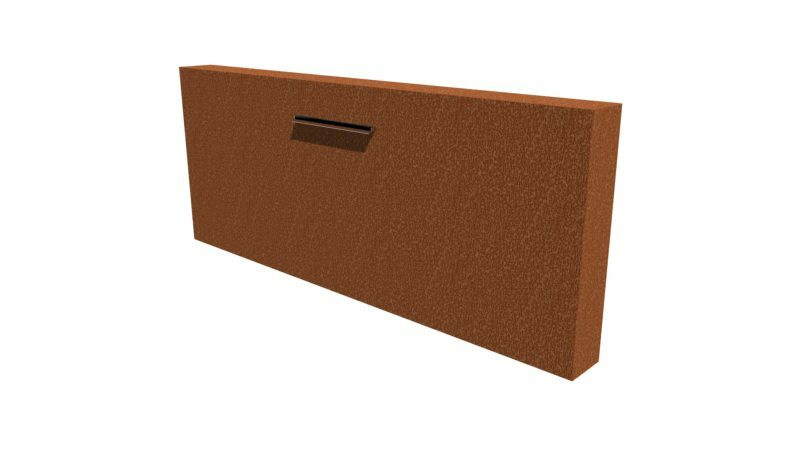 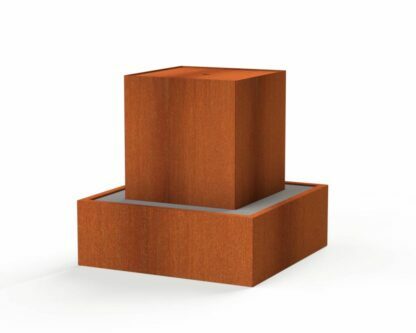 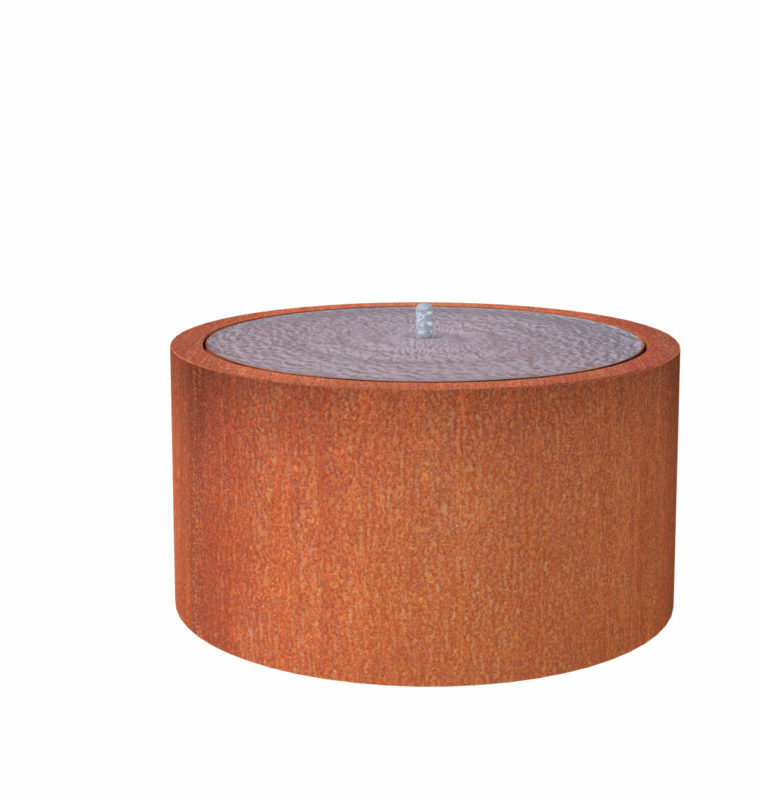 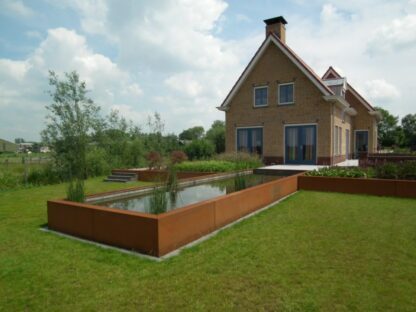 The Corten Steel finish will bring a strong industrial theme to the outdoor space. 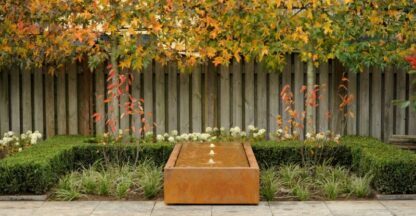 The warm rust colours will enhance the green and brown hues of the garden. 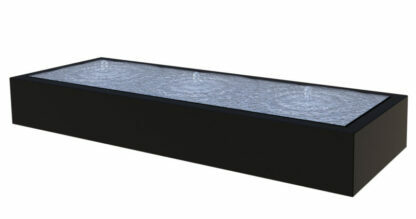 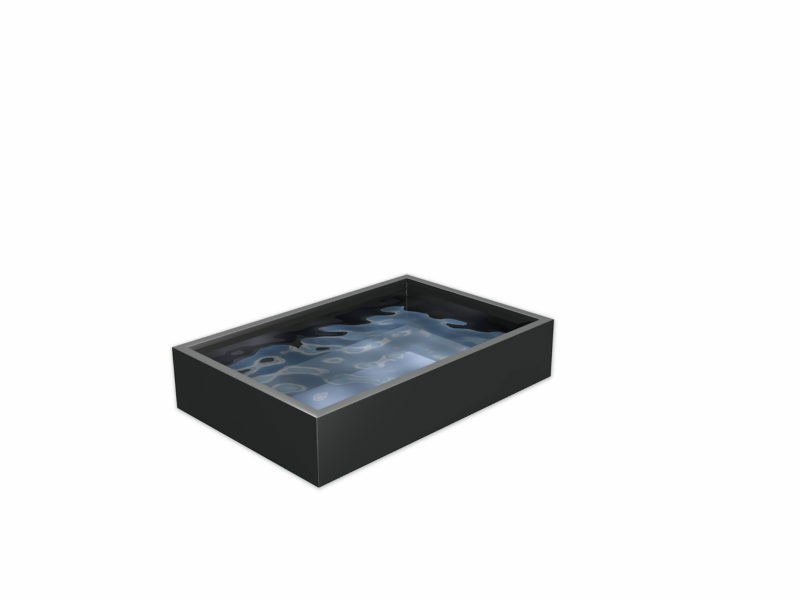 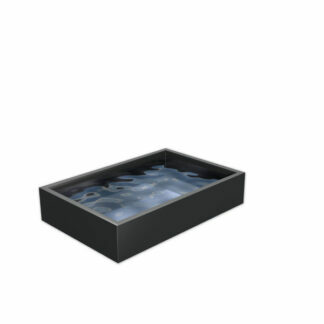 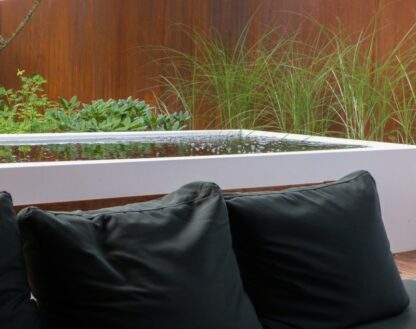 Alternatively, the black aluminium water features bring an element of class through their sleek and stylish design. 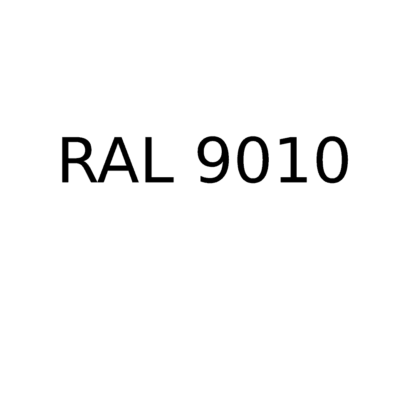 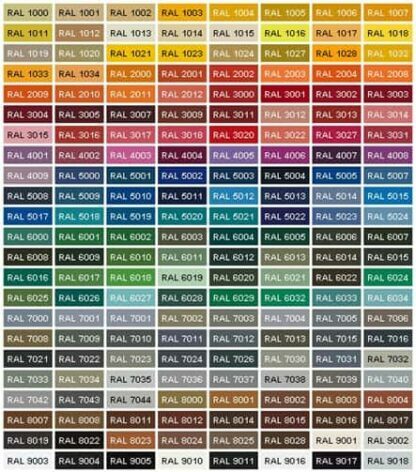 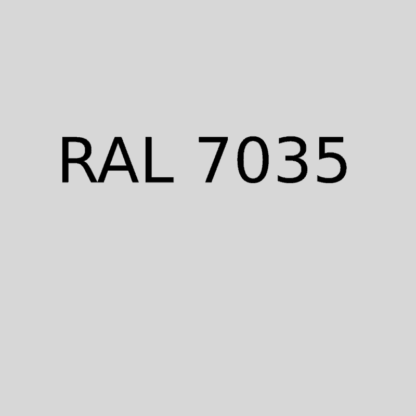 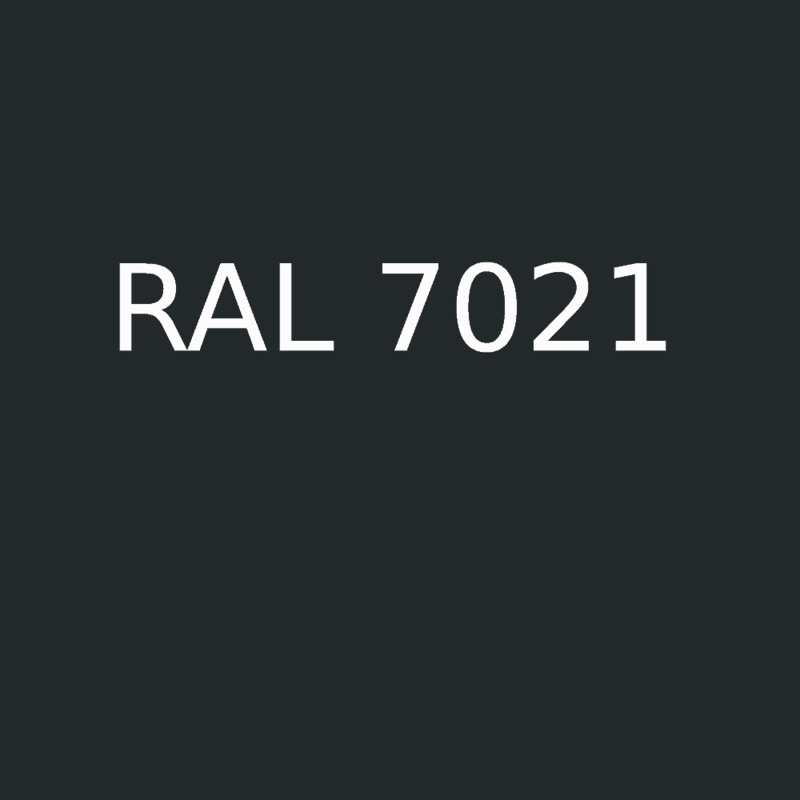 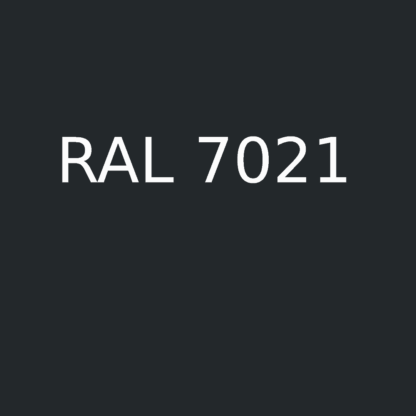 All of our aluminium designs are also available in all of the RAL colours upon request. 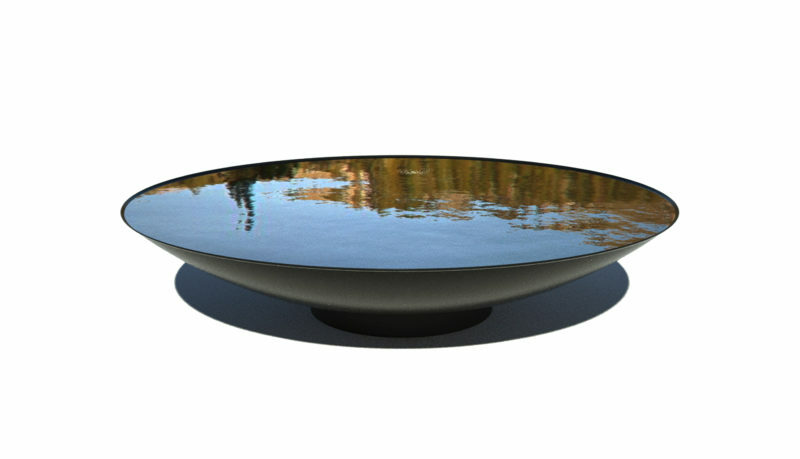 The Water Bowl by Adezz will instantly enhance your garden. The sleek and eye-catching design is a simple way to add a centrepiece water feature to your back yard. 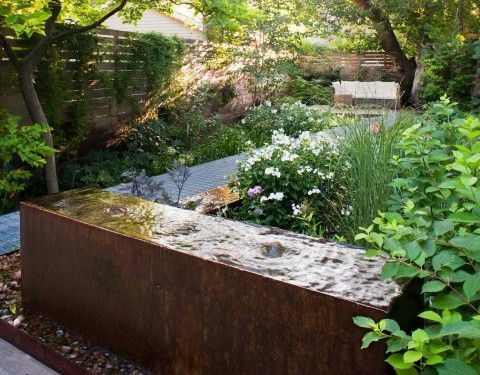 The warm rust colour enhances the hues of the outdoor space and brings a strong, industrial theme to the area. 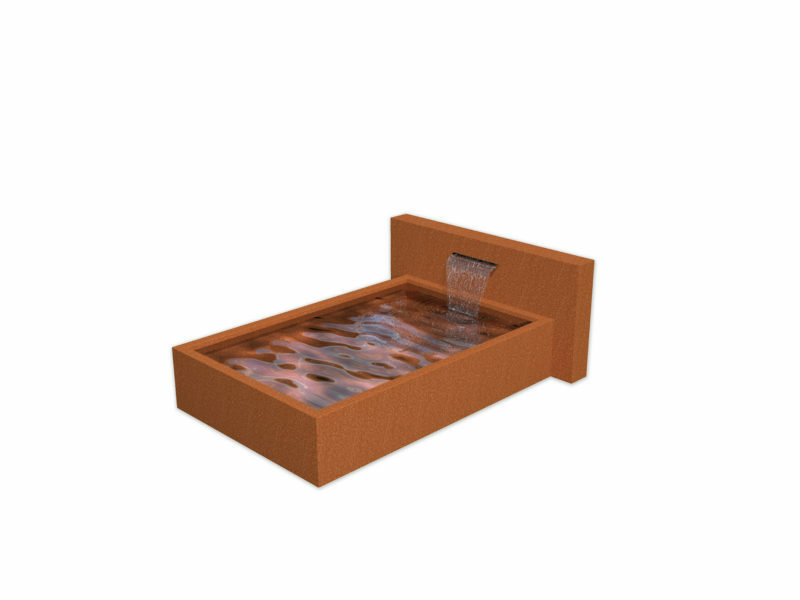 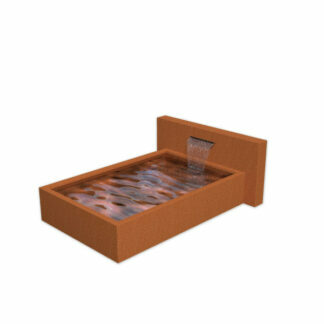 The Water Block by Adezz is a bold statement piece that will transform your garden into an oasis. 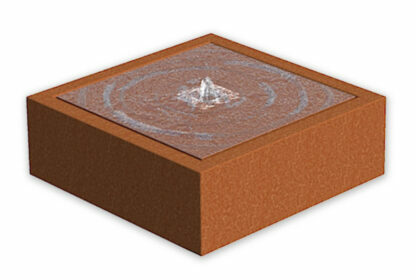 The water is pumped through a central nozzle, causing it to disperse and fall evenly across the product. 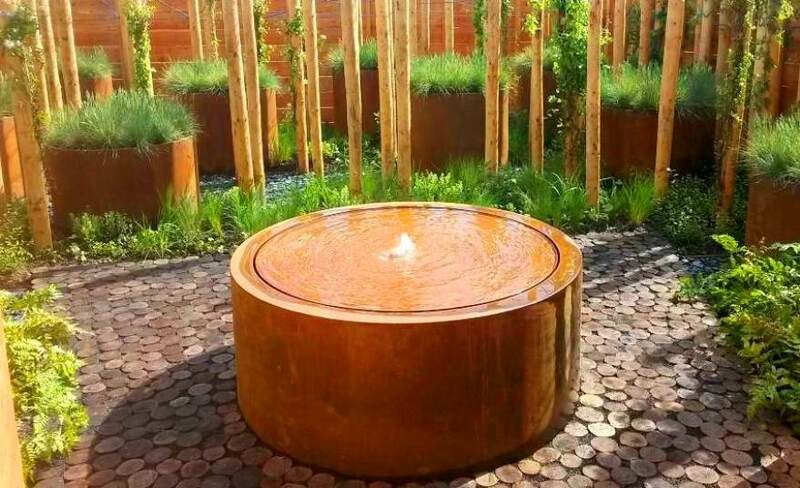 The Steel Water Bowl by Adezz creates an oasis in the garden. 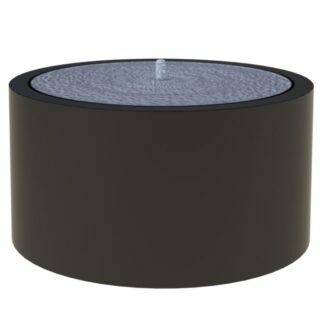 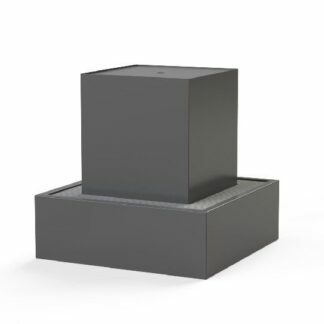 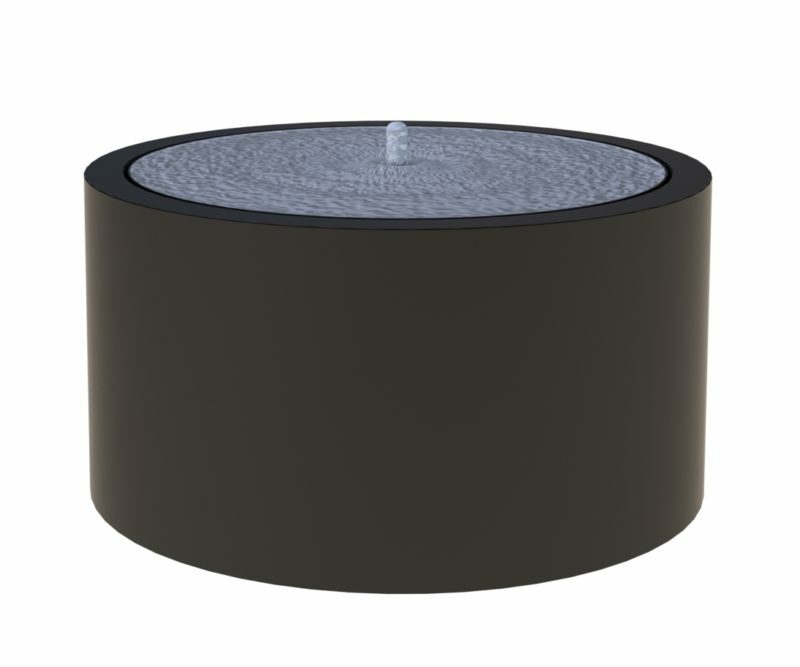 This black centrepiece brings a sleek and stylish appearance to your outdoor space. 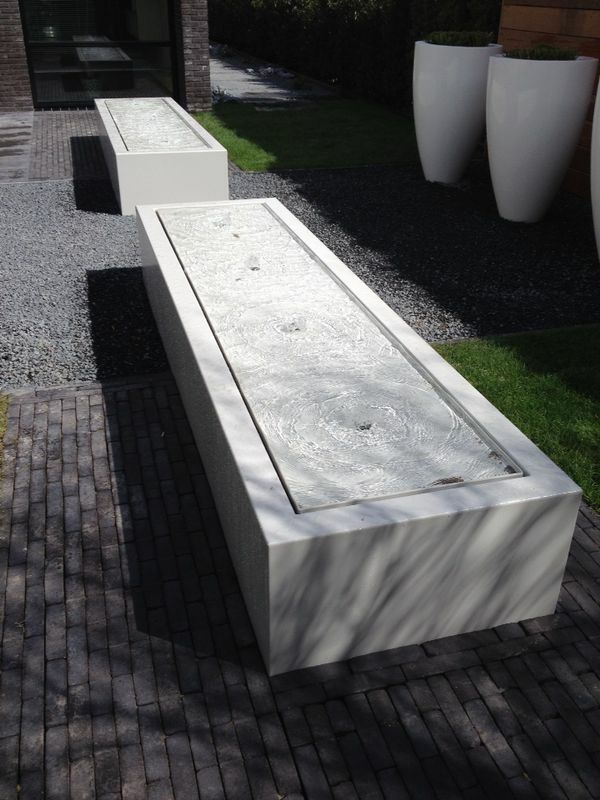 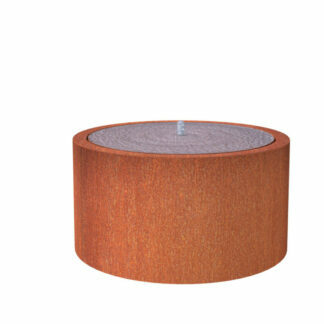 This product will fit well in any modern or contemporary garden. The Aluminium Water Block by Adezz is a bold statement piece that will transform your garden into an oasis. 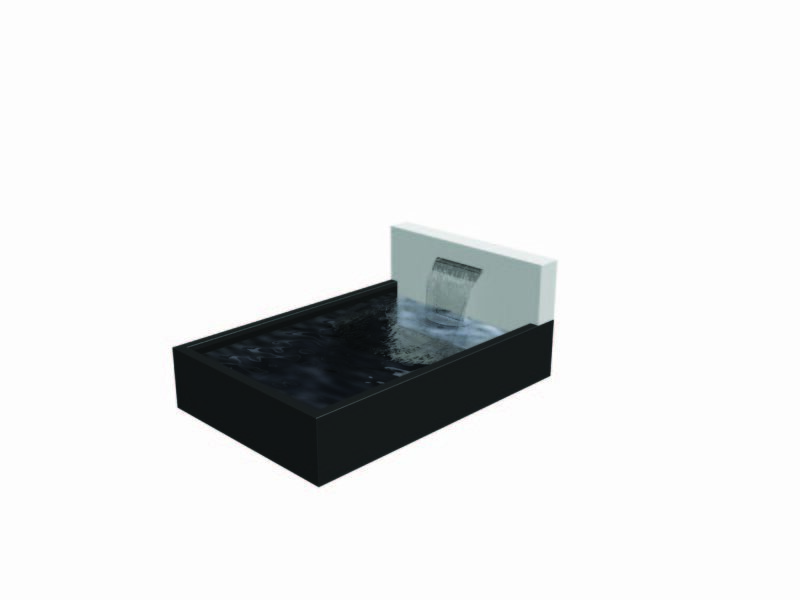 The water is pumped through a central nozzle, causing it to disperse and fall evenly across the product. 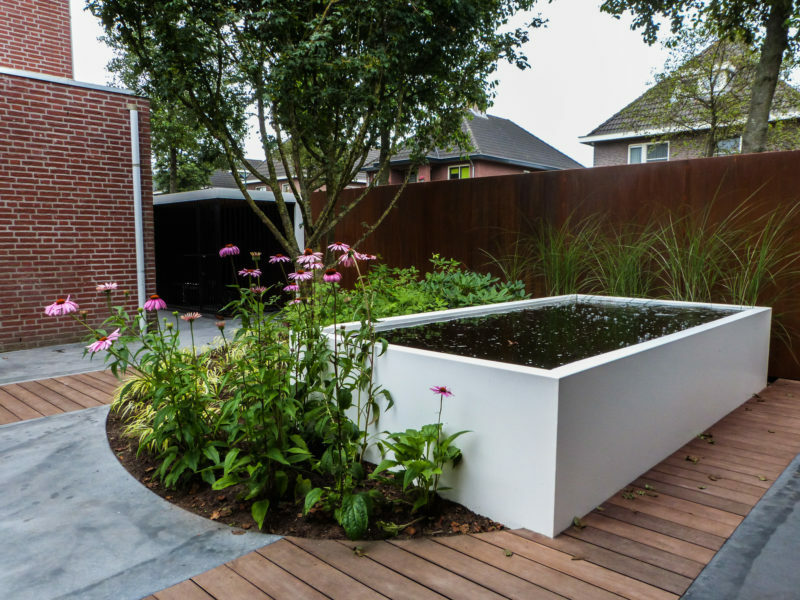 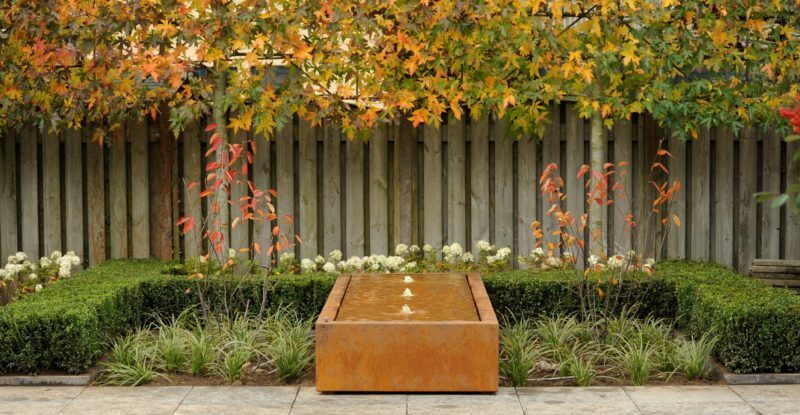 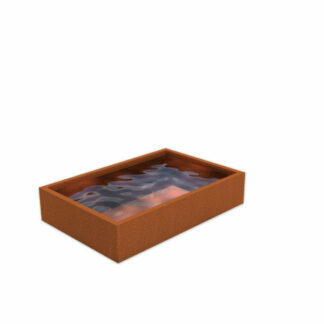 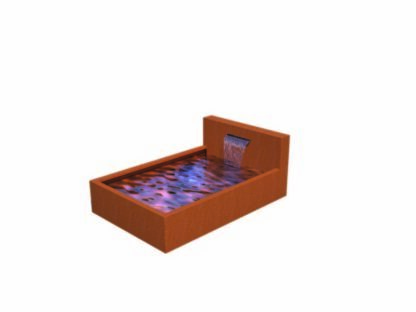 The Corten Steel Water Table by Adezz is an elegant addition to your garden. 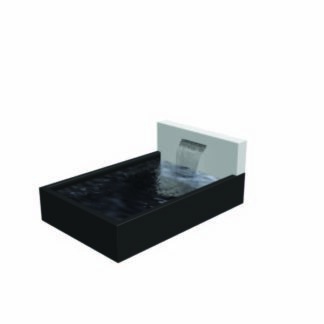 The water runs along the horizon of the feature, giving it an infinity effect. This unique ornament bubbles water from a stainless steel nozzle spreading the water evenly across the block. 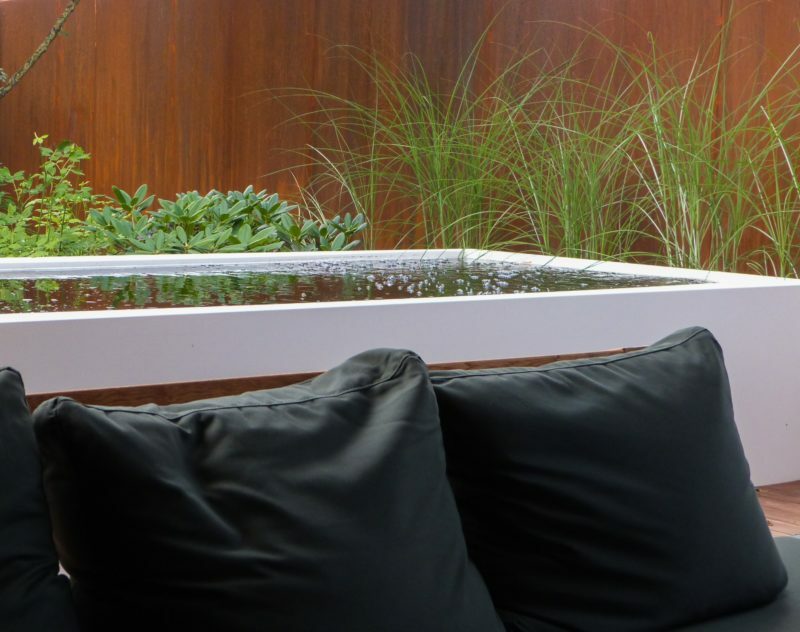 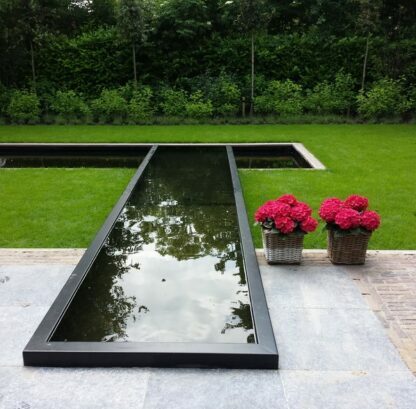 The Aluminium Ponds by Adezz are a sleek, eye-catching addition to any outdoor space. 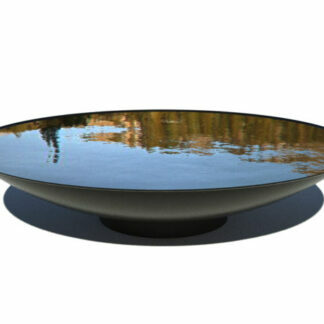 The aluminium finish has elements of class, introducing a minimalist theme. 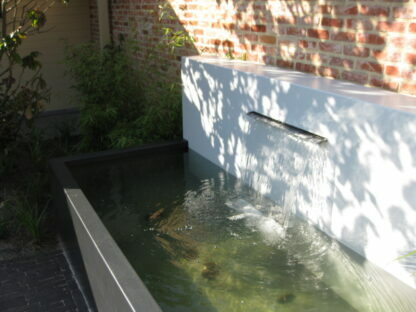 With the addition of a backplate, the movement of the water can be added. 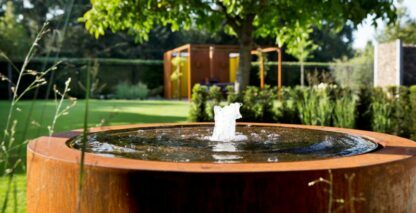 The Aluminium Round Water Table by Adezz is an elegant addition to your garden. 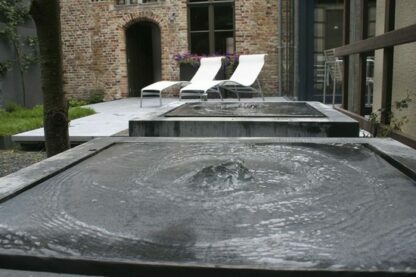 The water runs along the horizon of the feature, giving it an infinity effect. This unique ornament bubbles water from a stainless steel nozzle spreading the water evenly across the block. The Round Water Table by Adezz is an elegant addition to your garden. 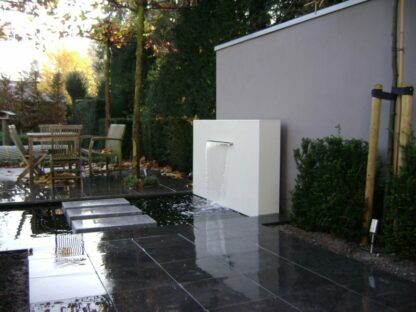 The water runs along the horizon of the feature, giving it an infinity effect. 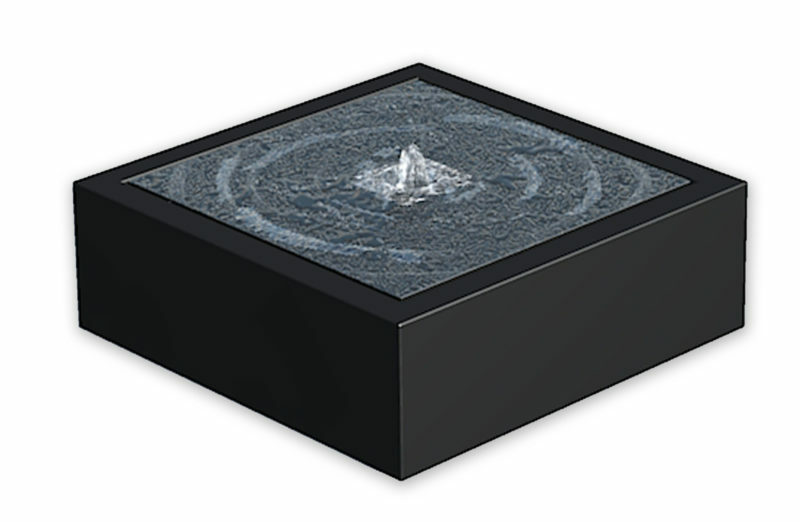 This unique ornament bubbles water from a stainless steel nozzle spreading the water evenly across the block. The Aluminium Water Table by Adezz is an elegant addition to your garden. 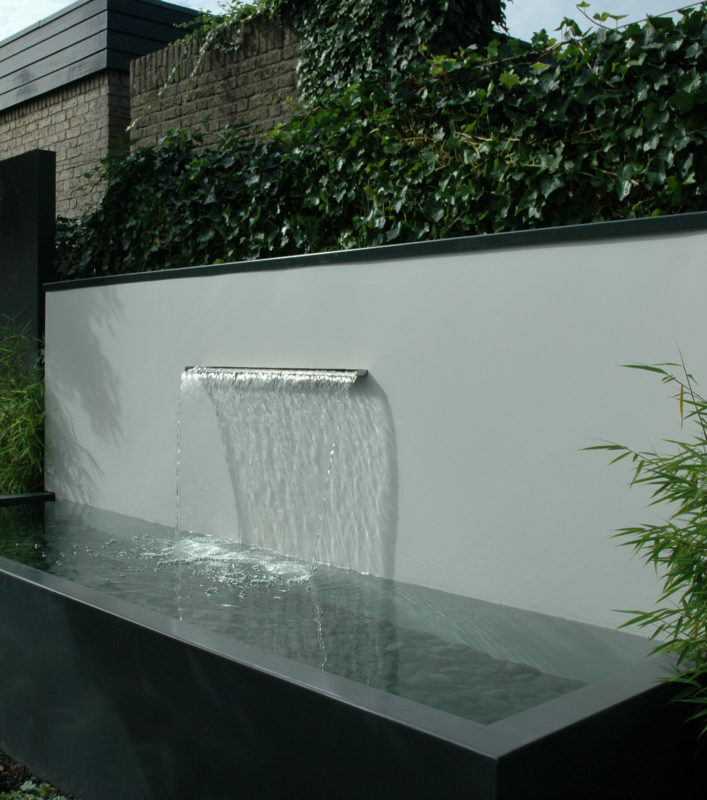 The water runs along the horizon of the feature, giving it an infinity effect. 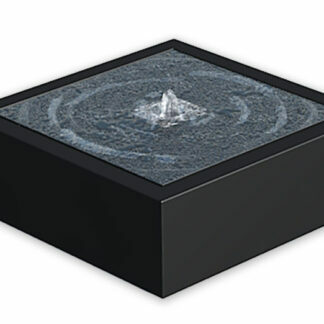 This unique ornament bubbles water from a stainless steel nozzle spreading the water evenly across the block. 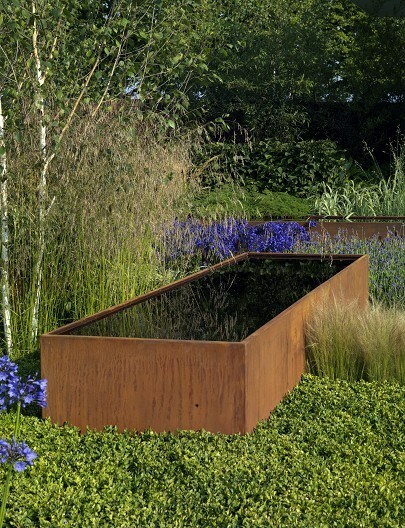 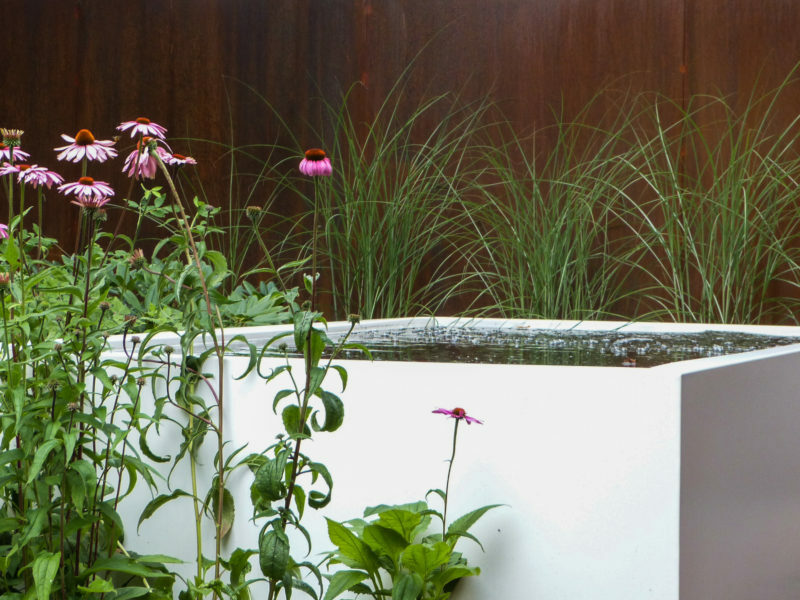 The Garden Corten Steel Ponds by Adezz are a sleek, eye-catching addition to any outdoor space. 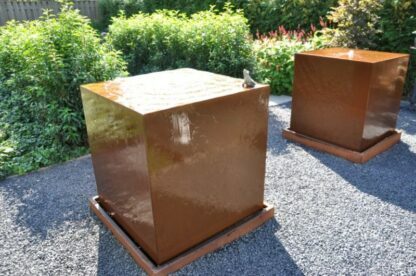 The warm rust colour will introduce an industrial theme, creating a stunning centrepiece in your garden. The ponds come in 3 sizes, with further bespoke designs available upon request.